When an important trend shapes new business directions, probing the leading-edge adopters can help companies adapt faster to provide products and services that fit changing preferences. 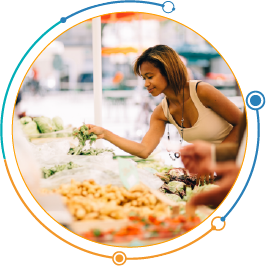 InsightsNow offers a unique community of Clean Label Enthusiasts™ that taps into the heart of this growing segment's behavior, preferences and aversions in the food, personal care, body care, and home care markets. Other specialized communities will follow. Quarterly/Monthly Industry Reports: Tracked behaviors and underlying motives detailed in quarterly behavioral reports allow you to deeply understand the evolution and current trends. Custom Engagement Services: Community Engagement Services allow you to rapidly answer your custom research questions, through exceptionally fast turn services support learning sprints and build proprietary knowledge.